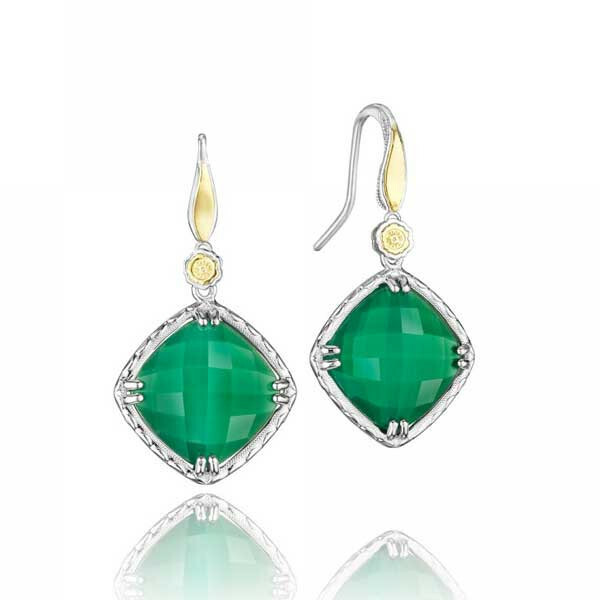 Be the envy of the fashion crowd in Tacori earrings from the Onyx Envy collection. Layered with clear quartz, small green onyx squared are framed in sterling silver with the signature crescent design, and they dangle luxuriously from an 18kt yellow gold Tacori seal that is set between the gem and a French wire that is also accented in 18kt yellow gold. Such Tacoriu exquisiteness will not go unnoticed. Tacori Onyx Envy Sterling Silver Green Onyx Station Chain Necklace 40"